Aficinados of Le Carrousel may have noticed that, for some time, the spire topping the amusement has been absent. While Le Carrousel is just as fun for the kiddos without the finial, we are pleased that the finial has now been replaced and Le Carrousel is whole again. The finial's fiberglass construction was no match for the elements and the finial broke at a stress point in the summer of 2014. Unfortunately, the finial was so degraded and delicate that repairing the existing finial was not an option. In addition to being broken, the finial's paint was peeling off, revealing old layers of color. The finial's better half. This is the base of the finial, which did not break off but was still in bad condition. The fragment of finial was sent to a manufacturer in Texas so that it could be 3D-scanned to create an identical replacement in a stronger material. The new finial arrived. Unpainted and up close, the level of detail is apparent. No wonder we couldn't buy a replacement off the shelf! 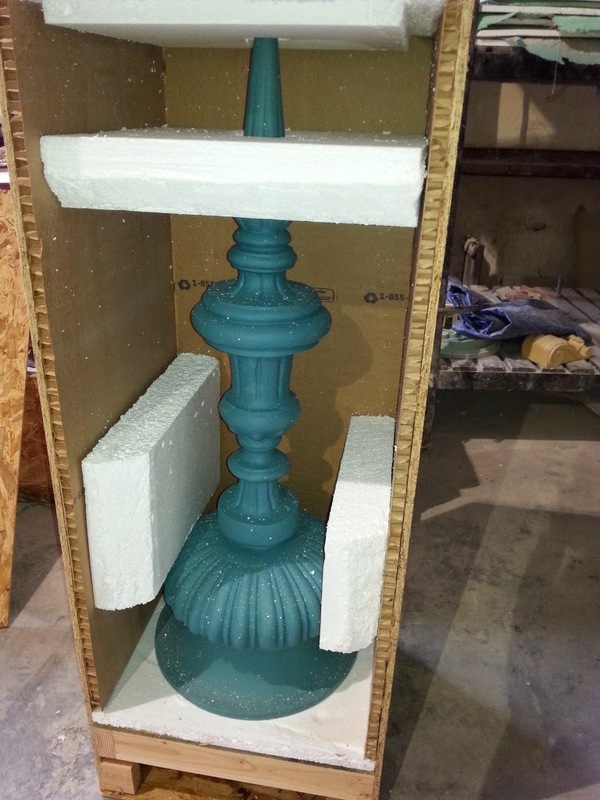 Joe from our Capital team hand-painted the finial with stripes. It may not look tall from the ground, but the finial is the size of a person. The finial was installed early in the morning so that installation would not interfere with park operations. A bucket truck parallel parked by Le Carrousel so the finial could be lowered and screwed down.